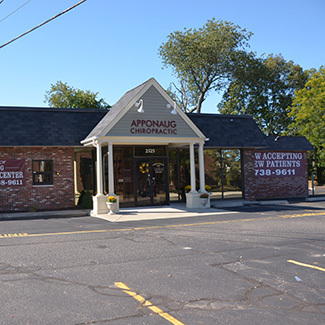 Welcome to Apponaug Chiropractic Center in Warwick. With soft jazz music playing in the background and soothing-colored walls, our office is a calming oasis in a stressful world. 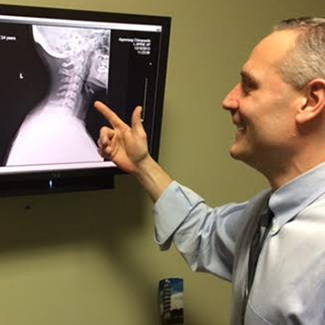 If you come in in severe pain and no fractures are found on your X-rays, your chiropractor will perform soft tissue work or trigger point therapy to provide some relief. Please allow 45-60 minutes for this appointment. 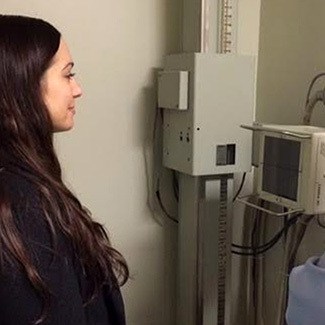 At this report of findings appointment, your chiropractor will review with you the results of your exams and X-rays. He will explain what chiropractic care is, make care recommendations and proceed with your first chiropractic adjustment. 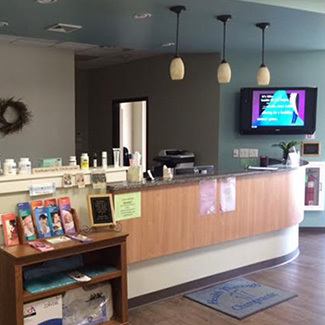 When you come in for regular visits, we will do our best to complete your adjustmet within 20 minutes. Just as you visit the dentist twice a year to maintain optimal oral health, seeing your chiropractor for regular adjustments can help keep your spine in tip-top shape. When you maintain spinal alignment, you can retain proper function for the rest of your life. We look forward to welcoming you to our practice and are offering a New Patient Special: for just $25 with the coupon, you are entitled to a complete exam.